Stand Up 2 Cancer, an organization that raises funds for cancer research, is airing its annual star-studded fundraiser on the major television networks Friday, September 7. The program is always entertaining and, more importantly, it raises a lot of money that helps fund important work. Cancer has a significant impact on many people’s lives and affects every community, no matter how small. In 2018, more than 1.7 million Americans will be diagnosed with cancer and more than 600,000 people will die from some form of cancer, according to the National Cancer Institute. Research leads to better technology and better treatments, and that is something worth spending money on. OSF HealthCare has always strived to be a leader in offering those we serve with the latest options for care, in every community we can reach. The Radiation Oncology department at OSF HealthCare Saint Elizabeth Medical Center in Ottawa is defined by the empathy and expertise of its care team. According to Teresa Lane, LPN, an OSF HealthCare radiation oncology nurse, it’s all about putting patients and their families first. 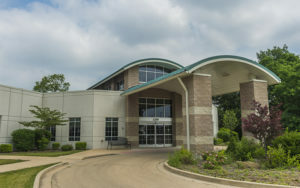 Because of a dedication to continuous improvement, OSF HealthCare has devoted considerable resources to a 3,800-square-foot addition to its Radiation Oncology department in the Fox River Cancer Center in 2018. The new space will accommodate a new Positron Emission Tomography – Computed Tomography scanner, which Teresa described as “a big game changer for us in the fight against cancer.” This high-tech PET/CT scanner gives caregivers more accurate and detailed images for more accurate diagnosis and monitoring. They also have a new Varian TrueBeam linear accelerator, which allows specialists to direct higher doses of radiation to the cancer cells, without harming the healthy surrounding tissue. The TrueBeam provides pinpoint accuracy with advanced speed to deliver complex treatments while patients spend less time on the treatment table. Thanks to OSF HealthCare, cancer patients can access the latest treatments without having to travel. It’s a simple concept – convenient access to great care – and it can make a huge difference in the life of someone dealing with cancer. Learn more about your local cancer care team on our cancer care website.